Since there seems to be no response from Vijay TV for her letter seeking explanation on mocking her and her popular line ‘Ennama ippadi panreenglayma…’, Lakshmy Ramakrishnan has sent a legal notice to the television channel. But Vijay TV airing a program on it for the second time made things worse, she said, adding that it was not stopped even after she registered protest. 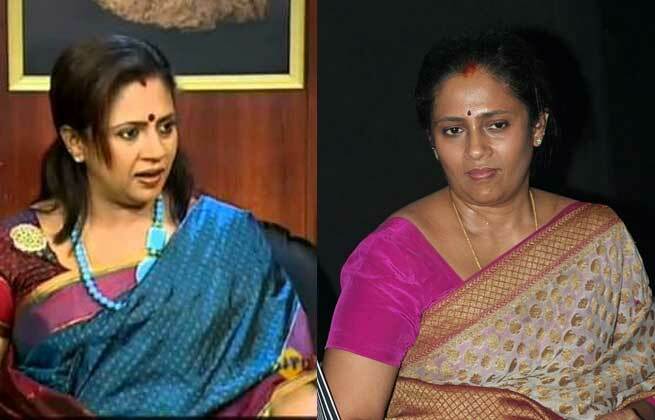 She also said there was no response to her letter to Vijay TV general manager Shriram. “I approached the police commissioner. They could not do much as it was not a criminal offence and advised me to proceed legally. The notice is sent and if we do not get a reply, I will be filing a defamation case against Vijay television,” stated the multifaceted personality. Another untapped & not fully utilised Tamilian Top Super Star actor and VERY HANSOME (with more than North Indian fair skin colour) WITH BRAVE VOICE IS Hon. Aravinda Samy. We miss you in Tamil films - By World Tamil Audience. Why go to Hollywood for actors for Enthiran 2, the talents are here in Tamil Nadu.